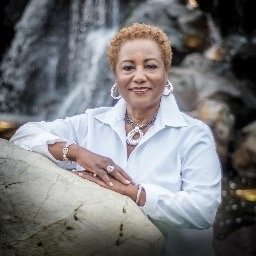 Dr. Christine Johnson McPhail became a pioneer in the community college world in 1998, when she founded the Community College Leadership Doctoral Program (CCLDP) at a historically Black college and university. A staunch advocate for community colleges, who held a number of teaching and administrative positions over the years, McPhail had already become a history maker herself when she was appointed the first woman and the first African-American president of Cypress College, located in southern California. Now, the doctoral program that she founded and directed since her retirement from Morgan State University in 2010, is changing the face of the community college, by helping practitioners earn advance degrees so that they can advance and take on leadership roles at their respective institutions. In the two decades since the launch of the program at Morgan, the results have been nothing short of amazing. The doctoral program has graduated more than 91 percent of its students — 75 percent of whom are African-Americans. In an age when African-Americans still lag far behind their White counterparts in obtaining leadership positions at community colleges, education experts say that the CCLDP program is making a difference. “Dr. Christine Johnson McPhail continues to be a force for both student success and leadership success in the contemporary community college movement through her scholarly research, leadership and advocacy,” says Dr. Lorenzo Esters, vice president of philanthropy for Strada Education Network, a national nonprofit that uses research, philanthropy and best practices to strengthen pathways between education and employment. Dr. Walter G. Bumphus, the president and CEO of the American Association of Community Colleges, agrees. He and McPhail have been friends for years, and when a leadership program was created, to help minorities secure positions as community college presidents, Bumphus — who has been president of the Louisiana Community and Technical College System, chancellor of Baton Rouge Community College and president of Brookhaven College in Dallas County Community College District — encouraged McPhail to apply. Diverse: Issues In Higher Education has selected McPhail as its 2018 Diverse Champions winner. Growing up in the rural East Texas town of Tyler, during the early years of the civil rights movement, McPhail was the recipient of unconditional love. Although her town was racially segregated, McPhail was surrounded by Black excellence. “We had a Black dentist, and there was a Black physician we went to. And of course, there was always the Black mom-pop stores,” recalls the prominent educator, adding that many of her high school teachers held doctoral degrees. For example, the father of Dr. Asa G. Hilliard III — the well-known educational psychologist who went on to become a leading proponent of Afrocentric studies in public schools — was McPhail’s high school principal. Although McPhail was the first in the family to go to college, her parents — Otis and Mary Johnson — were her early educators and heroes. McPhail’s father was a sharecropper who worked long hours, eventually saving up enough money to start a small business in Tyler. Although he did not have much of a formal education, he was adamant that McPhail — the second youngest child —earn a college degree. “My dad would say, ‘You have to know your numbers. You have to be able to count in your head,” says McPhail, who recalls him quizzing her on the spot about mathematical equations when she was younger. In McPhail’s world, there was an expectation that she would go on to achieve greatness and then give back. Her immediate and extended family in Tyler would not settle for anything less. Upon graduation from Emmett Scott High School, McPhail initially planned to attend Fisk University, an HBCU in Nashville, Tennessee. She received a scholarship, but when her older brother who was living in California, convinced McPhail and their parents that she ought to consider moving out west, she jumped at the opportunity. Although she had not initially considered a career in higher education, the events of the 1960s — namely the burgeoning civil rights movement that had taken hold of the country —had greatly influenced her decision to champion inclusion and social justice causes. Initially, McPhail had considered pursuing a career in law, but after her father was involved in an accident on the job and could only work part-time, her career ambitions quickly shifted. “Any help that I could have expected from home, I was not going to take that money because [my parents] needed to use that,” she says. “So then I went back and asked, ‘What’s a quick degree, so I can get out of here and get a job really quick?’” Someone recommended that she consider a major in social work. Truth be told, McPhail failed horribly at her first job, which required making home visits. Six months into the job, a trusted supervisor, whom she came to admire and respect, offered her some sage advice. McPhail took her social work training to the Economic Opportunities Commission where she worked as a social worker for Head Start, serving about five different counties in California that provided early educational opportunities for low-income toddlers and their families. Shortly after she began her work with Head Start, Fresno State — where McPhail earned a master’s degree in education/counseling — was in the early stages of launching an ethnic studies program and was meeting stakeholders in the community to secure support. McPhail attended one of the meetings and was hired to help write the program curriculum. “I was able to continuously build on that foundation I got as a young child growing up,” says McPhail, who subsequently became a resident adviser for the Live and Learn Center, a dormitory-based program that catered to first-generation Latino and African-American college students. Convinced that she had found her calling in higher education, McPhail knew that she needed to return to school to earn a doctorate if she wanted to stay in the academy for the long haul. She enrolled in a doctoral program at the University of California, Berkley, and secured a job as a counselor at Contra County Community College. She was later offered an administrative job as an assistant dean of students at the College of Alameda and was subsequently promoted to dean. “That was a wonderful job,” says McPhail. “I had everything but the kitchen sink in that job. I was able to see all parts of the institution,” noting that financial aid, the bookstore, the campus police and athletics were among the college departments that fell under her jurisdiction. But the demands of the full-time job also meant that McPhail needed to take a leave from her doctoral studies. When she decided to return to complete her doctoral program years later, many of the faculty had retired, so she decided to transfer to the University of Southern California, which had launched a part-time doctoral program in higher education and was actively encouraging community college administrators to enroll. By the time the 1980s had rolled around, it was clear that McPhail was on a trajectory to become a college president — whether she thought so or not. McPhail would query college presidents and chancellors about their jobs. As a student affairs administrator, she gained some experience in curriculum and instruction and learned about the fiscal challenges that came with running an academic institution. She appeared on panels and began authoring articles, broadening her profile beyond California. At the College of Alameda, she helped launch Early Trio programs and minority science programs for area residents. After her mother became ill, McPhail returned to East Texas to serve as a caregiver, taking on freelance work as a consultant to area colleges and universities and helping institutions secure Title III grants. It was a five-year stint and she went back West after her mother passed away. She secured a job in the central office of the state’s community college system, where she essentially served as a districtwide grants coordinator and compliance officer. “We went crazy going after grant money” she says, adding that her participation in the leadership program for minorities interested in becoming college presidents convinced her that she was ready to make the next move if a job opportunity became available. It was not long before McPhail was appointed president of Cypress College, serving in that position for almost four years. So, why did McPhail leave? At an American Association of Community College convening in California, McPhail — who was divorced — was introduced to Dr. Irving Pressley McPhail, who was president of St. Louis Community College at Florissant Valley at the time. The two hit it off, and later exchanged nuptial vows. The two made a deal: whoever had the highest paying job, would continue in their position and the other would relocate. Irving McPhail then secured the chancellorship of the Community College of Baltimore County. “I always had a good job, but I haven’t always had a good man,” says McPhail with a hearty laugh. She packed her bags and headed east. Convinced that she wanted to create a new pipeline for minority community college leaders, McPhail proposed the creation of the doctoral program in community college leadership at Morgan State University, bringing in experts in the field to help her in the planning year. “We hit every community college in the state of Maryland to see if there was a market for [a] community college leadership program,” says McPhail, adding that the program was designed to be accelerated, with short-term courses on the weekends, and a professional development component. Alumni of the CCLDP are leaders at community colleges in Maryland and beyond, says McPhail, who launched an educational consulting firm with her husband and signed on to be a part of the inaugural coaching staff of Achieving the Dream, a national organization focused on student success. In this role, McPhail works with colleges to ensure that institutions are “breaking down silos” to create a strong experience for students. Her contributions to the field has been recognized and lauded by veteran administrators like Dr. Curtis L. Ivery, the longtime chancellor of Wayne County Community College District. This article appears in the April 19 issue of Diverse. Editor’s Note: The Diverse Champions Award recognizes higher education leaders who have shown unwavering commitment to equal opportunity and access for all, particularly at the community college level. The recipient will receive an award at the American Association of Community Colleges annual meeting in Dallas next week.